Magic is dangerous--but love is more dangerous still. Kidnapped by the mysterious Dark Sisters, members of a secret organization called The Pandemonium Club, Tessa soon learns that she herself is a Downworlder with a rare ability: the power to transform, at will, into another person. What's more, the Magister, the shadowy figure who runs the Club, will stop at nothing to claim Tessa's power for his own. Before beginning Clockwork Angel, I was a little hesitant. I didn't see how Cassandra Clare could possibly meet my expectations, which were set extremely high after reading her phenomenal Mortal Instruments series. 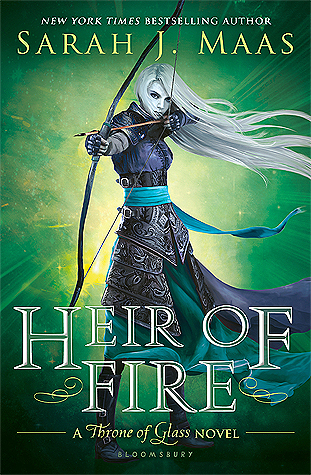 Surprisingly, the prequel was nearly as captivating and wonderful as Clare's other books. Once again, Clare has astounded me with her ability to weave shocking twists and turns throughout her novel. The plot kept me on my toes. Just when I thought the Nephilim were on top of things, a new problem would arise. Not to mention the ever complicated romance. What would any of Clare's books be without a little romantic tension? Clockwork Angel is set in Victorian London, which I was thrilled about. In my opinion, you can never read enough books set in this time period. It was fascinating to see Shadow Hunters in London during the Victorian era, as opposed to New York City in modern day. I couldn't help but notice the many elements that were similar to City of Bones. Tessa, the protagnoist, resembles Clary Fray in her wit and bravery. Will Herondale was nearly as cocky and arrogant as Jace Wayland (one of my all time favorite heroes). Almost everyone seemed to be modeled after one of the TMI characters. While I was somewhat annoyed at the lack of originality in the new characters, I couldn't help but enjoy the familiarity at the same time. The never-ending humor and action brought back so many memories of the TMI series. 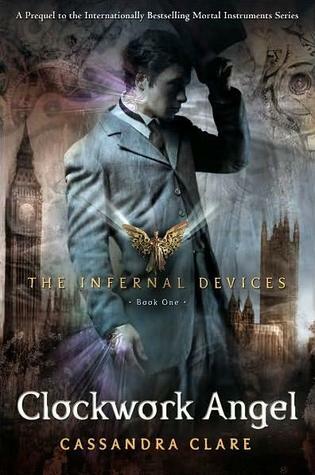 Overall, I can definitely say that I enjoyed Clockwork Angel. While I'm not sure that it lived up to City of Bones, it brought an intriguing new chapter to the world of Nephilim and Downworlders. I'll be rushing our to buy the sequel as soon as it hits the shelves, especially after that cliff-hanger ending! Great review! I haven't read Clockwork Angel yet, but I will because of your review! I was pretty unsure about it, but your review pretty much decided for me! Thanks! I haven't read this book yet but it is on my TBR. I have read lots of reviews for it because it's one of the really popular books out there. I also read a sample of the book on my Kindle, which makes me want to read it all the more, but I kind of want the non-digital version of the book so I'm holding out till the holidays LOL! Nice review! I have yet to read the Mortal Instruments series yet so I'm holding off on reading Clockwork Angel until I do so. I have City of Bones on my bookshelf waiting for me. I wasn't a fan of City of Bones, but anything set in Victorian London is a must read for me. I might just have to give this book a chance. I loved this book.. I actually read this before the Mortal Instrument Series.. I am now re-reading it to refresh before reading the Clockwork Prince! I think she's a great author and can't wait to read all she puts out! I haven't read the Mortal Instruments yet but since you said it was so good, I might have to read it now! !